Lord Ayyappa is worshiped by Hindus all over the world in a number of shrines across India. Ayyappa is believed to be a life of Dharma Sasta who is the young of Shiva and Vishnu (as Mohini in his female form) and is generally depicted in a yogic position wearing a bell around his neck named as Manikantan. 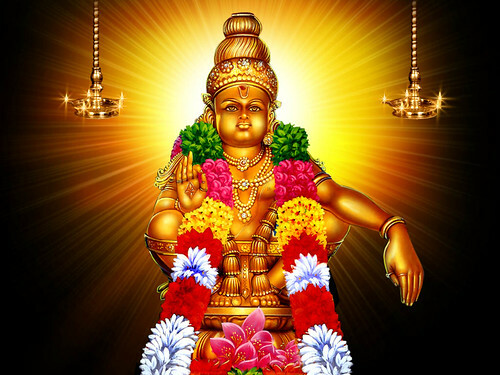 Lord Ayyappa is a very famous god of South India. He is a symbol of religious unity and harmony. The name “Ayyappa” is used as a respectful form of address in the Malayalam language spoken in Kerala India. Wallpapers of Ayyappa rebuild the religion and spiritual presence. These High resolution Ayyappa Wallpapers are easy to download and a great add on to your personal collection of devotional wallpapers. Display Ayyappa Wallpaper on your desktop screen, laptop and mobile and feel his presence, and take his blessings. 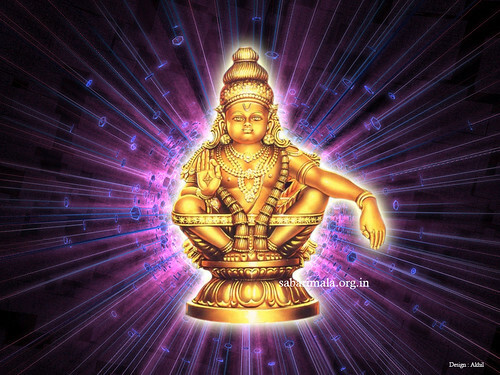 For all devotees of Lord Ayyappa we have Ayyappa Wallpapers. He is also known as different names like Bhuthanatha, Dharmasastha, Hariharan, Ayyanar and Manikanta. The resolution of the picture can be 1024×768 pixels. Lord Ayyappa HD desktop wallpapers capture his grand presence in all forms. May Ayyappa bless you all throughout life! !